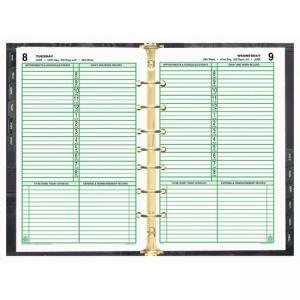 Day-Timer Planner Refill - 5.50" x 8.50"
Planner refill features a one-page-per-day format from January to December and comes in a loose-leaf format. Each day includes an appointment schedule from 8 AM to 9 PM and space for notes. 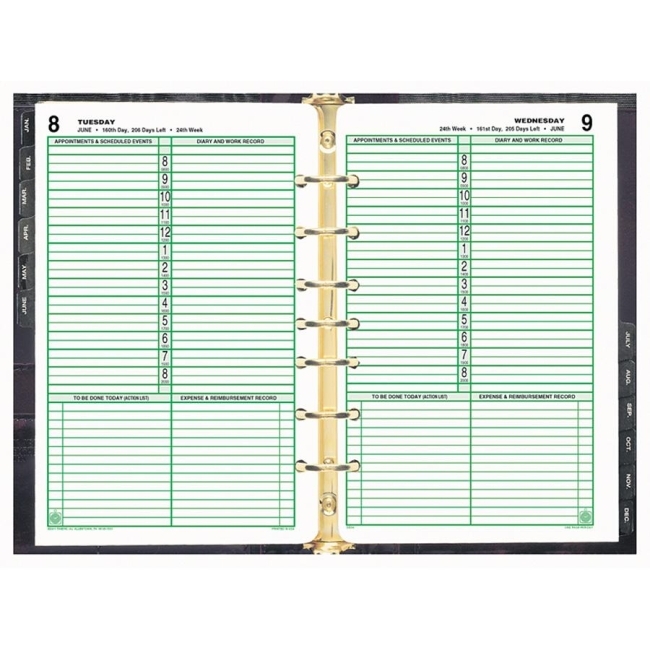 Planner refill includes address/phone pages, advance planning calendar, reference pages, 12 monthly tabbed dividers, expense forms, and a page locator.